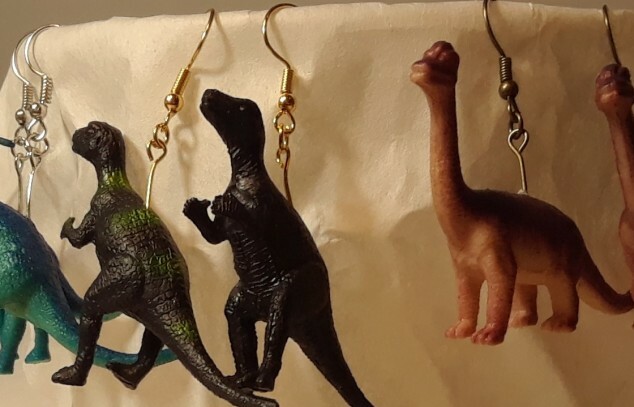 Whimsical earrings with dinosaurs and sea life themes. All made with lead and nickel free metal. Animals are plastic and very light weight.